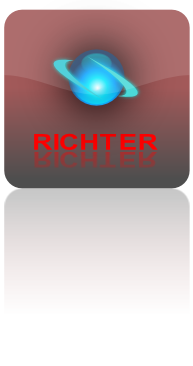 RICHTER ENTERPRISES CORPORATION develops and manufactures glass plate hoists. 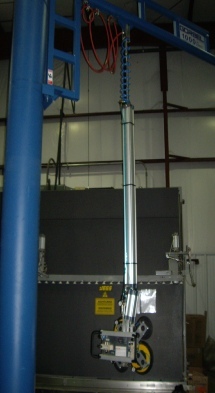 Our vacuum lifters are used at Vertical and Horizontal IG Lines, Glazing Operations, Loading and Un-Loading of Printing, Tempering and Laminating Facilities . The manipulators are typically suspended by crane-ways or jib-cranes which are supplied by Richter Enterprises and customized for the work area and applicable capacities. Insulated Glass Units are taken off vertical fabrication lines with our MIG 500, a glass handling tool with rotating capability to allow for orientation from a portrait to a landscape. 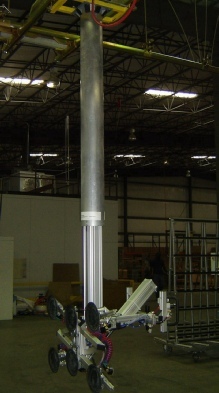 Heavy IG units can be taken off by one operator, inspected from every side, and placed on the cart or shipping rack.